Instead of our usual poem or haiku or quote offering, this post shares one of the Square Wheels Poster Images, something you can download and print. The message is clear, whether it is for coaching or for facilitating a team discussion about issues and opportunities. This is loaded up as a high resolution image and a click should allow you to download. If there are any issues or problems, pop me an email at the address below and we will send it to you. From my personal perspective in playing with organizational development issues for 40 years, this is one of the key learning lessons for leadership or for innovation or for generating shared alignment to issues of performance. 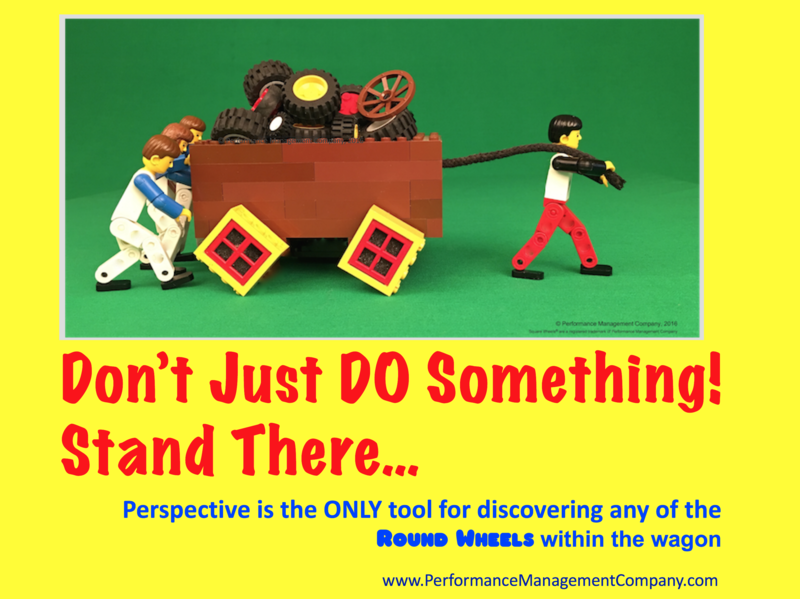 We operate on Square Wheels, and The Round Wheels are already in the wagon.